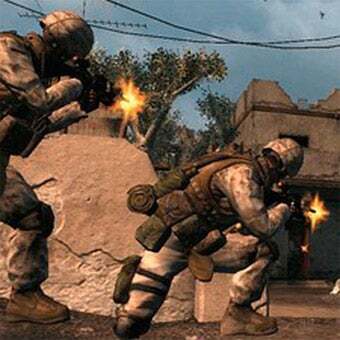 NPR revisits the controversy behind Atomic Games' Six Days in Fallujah once again, presenting a strong argument in favor of the release of the "game-amentary." The usual suspects line up in favor of the game, with Atomic Games' boss Peter Tamte and retired Marine Captain Read Omohundro explaining that the game is meant to inform in an interactive format, presenting a unique view on war in such a way that will help communicate that war is not a game. Karen Meredith is a member of Gold Star Families Speak Out, a group made up of families of soldiers who died in Iraq. According to the NPR report, this group "succeeded in getting the Japanese game publisher Konami to pull its support from the game." Meredith appears to be the sole speaker against the game in the NPR report. Meredith's son Lieutenant Ken Ballard was killed in Iraq, and her argument is that a game is no way to take on such a serious subject. "Because it's a game; because there can be different enemies; because Ken did not get that opportunity to reset and start over in the battle where he was killed..."
Meredith finds herself more comfortable with movies and books based on the war, as opposed to video games, especially one that Konami initially marketed as an entertaining look at the horrors of war. Developer Susana Ruiz, creator of the browser-based Darfur is Dying, touches on one of the key reasons why those outside of the game industry view a title like Six Days in Fallujah with such disdain. "Game makers haven't quite demonstrated this willingness and accountability to serve as sort of arbitrators or commentators or interpreters of the human condition or of the cultural psyche around these very important moments in history"
It's something I touched on in my feature on the subject, earlier this year, and it's an issue that won't be overcome until the game industry actually produces a game that does just that.